While Horry County ranks third highest for foreclosures in South Carolina a positive sign in the real estate market can be attributed to the increase in short sale listings along the Grand Strand. Short sales are far better than foreclosures for struggling homeowners and neighboring property owners. Currently Myrtle Beach leads the Grand Strand in Short Sale listings with 191 single family homes offer as short sales versus 94 bank owned properties. Murrells Inlet has 37 short sale listings and 22 REO of 526 single family listings while Pawleys Island only has 3 REO listings and 16 short sales. Georgetown has 20 REO listings and 17 short sales of 253 listings. Currently there are 279 REO listings in the CCAR MLS while there are 461 Short Sale listings and buyers also understand that short sales are a good alternative to foreclosed homes as they are often in much better condition. The short sale trend is likely to continue as homeowners become more educated about the benefits of working with their bank to sell their homes instead of letting the home go to foreclosure. A short sale has much less negative impacts on credit scores than in the past and homeowners are also coming to realize that foreclosures can hurt them tremendously especially where employment is concerned since employers are turning to credit scores when making hiring and promotion decisions. Short sale processes have been streamlined by banks and the real estate community is more educated in how to serve their clients that need to sell their home when they owe more than it is worth. If you or someone you know is having difficulty making mortgage payments and need to sale your home contact us for more information on how a short sale might be of benefit. Copyright©2012 Sandra Bundy, Broker-in-Charge, B&P, Inc. Serving the Pee Dee and Grand Strand of South Carolina. 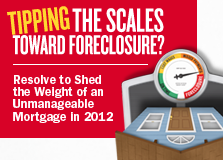 Who do you know that can use help avoiding foreclosure? Since obtaining my real estate license in 2001 I have had my share of REO listings and knocked on doors informing the occupants mostly homeowners the news they didn’t want to hear. I have seen abandoned and destroyed properties that the homeowner could no longer afford and left in the middle of the night months before the sale at the courthouse steps instead of staying to protect their property. I also understand the reasons why some people leave rather than stay in the home they know they will lose because they cannot pay the mortgage. In 2008 I started on a journey to reach out to troubled homeowners to explain what options might be available to help them stay in their home and opened communications with their lenders. This week while I was completing my CDPE classes I came to realize the only way to truely help homeowners and the housing recovery in Murrells Inlet and along the Grand Strand is to ask everyone who they know that I can help avoid foreclosure? The sad fact is many people that could use my help might never get it before it is too late but it won’t be because I am not looking for my friends and neighbors in Myrtle Beach to help me raise awareness of the programs that can keep homes out of foreclosure and in turn help all our property values. Horry County boasts sunny beaches, golf courses and numerous other attractions but it also ranks 3rd in South Carolina in foreclosures and it is hurting all of us as long as we turn a blind eye to the problem by way of declining property values. None of us are immune from job loss, medical emergencies, divorce or death that could potentially wreck our personal finances and ability to pay our home mortgage. If it happens to you or someone you know remember foreclosure is not the only option and there are programs and resources available that might be able to help. Copyright©2011 Sandra Bundy, Broker-in-Charge, B&P, Inc. Serving the Pee Dee and Grand Strand of South Carolina. As a CDPE – certified distressed property expert – I have received additional training in the avenues available to troubled homeowners and provide my services at no cost to the homeowner. Contact me for a confidential consulation on possible options to avoid foreclosure. If you would like to learn more visit our online resources website. According to the non-profit counseling agency CredAbility South Carolina ranks 9th in household distress with the overall distress at 63.9% for the third quarter of 2011. Not surprising when the unemployment rate in SC for September at 11% ranking 5th highest in the US. Homeowners that want to sell their home in this tough climate are more likely than not to owe more than their home is worth especially if they made their purchase during the housing boom in the Myrtle Beach area. With no housing recovery in sight short sales along the Grand Strand are likely to rise next year. In some of Myrtle Beaches newest neighborhoods sale prices declined 23% this past year and while real estate prices might appear to be holding steady for now any increase in foreclosures could have negative impacts on home values. In May of this year the halt of foreclosures on owner occupied homes slowed down foreclosures but as work out options are exhausted foreclosures could increase. Horry County already ranks among the highest in foreclosures in South Carolina. A better option for Myrtle Beach area homeowners facing foreclosure is to consider a short sale. Not only would a short sale help neighborhood home prices but it also allows homeowners to remain in control of the sale and move on. Homeowners often overlook the option of short sales even if they have not experienced financial hardships however a short sale might be a good option especially where the owner needs to sale the property in a timely manner. Increasing inventory and higher marketing time are evident in many neighborhoods and short sales could outpace foreclosures in the coming months which would certainly mean a winning outcome for area home prices in the Myrtle Beach area. Copyright©2011 Sandra Bundy, Broker-in-Charge, B&P, Inc. Serving the Pee Dee and Grand Strand of South Carolina. If you would like a confidential consultation on a short sale of your home contact Sandra Bundy for more information. Is it Time to Change your Home Buying Strategy? There is no doubt that it is a buyers market in Murrells Inlet and the surrounding communities of Myrtle Beach and Pawleys Island. Just today as I checked out the active home listing inventory there are no less than 1800 single family homes for sale and when you count all areas along the Grand Strand that number goes up to over 4000. These numbers don’t include condo units or other home choices available in the Myrtle Beach real estate market. Given all the choices home buyers have in today’s real estate market is it time to change your home buying strategy? Looking at homes usually starts online for most buyers and it is a useful resource. While a majority of home buyers start their search for homes on the internet the hidden gem of a home in Murrells Inlet is well known by local REALTORS® and unless you are very familiar with all the neighborhoods on the Grand Strand your online search won’t alert you like your Myrtle Beach area neighborhood expert can. SC agency relationships when buying real estate offer 2 choices for buyers with the choice of customer or client level services. The listings you are viewing online are made possible because the seller has hired a REALTOR® to represent their interests in selling their home. As a buyer of real estate in SC you have the choice of also being represented by a Buyer’s Agent who will promote and protect your best interest too. Don’t overlook this valuable service available to you when you are purchasing a home in South Carolina. Contacting a lender should be at the top of your priority list when you are ready to make a home purchase and lenders are more than happy to assist you with your financing options. Getting pre-qualified is a great starting point and a must for any home buyer. Today’s real estate bargains in Murrells Inlet and along the Grand Strand can and do go into multiple offer situations especially well priced homes in good condition. In addition Myrtle Beach foreclosures are a favorite among deal seekers and a pre-approval is the only way you might get your foot in the door. 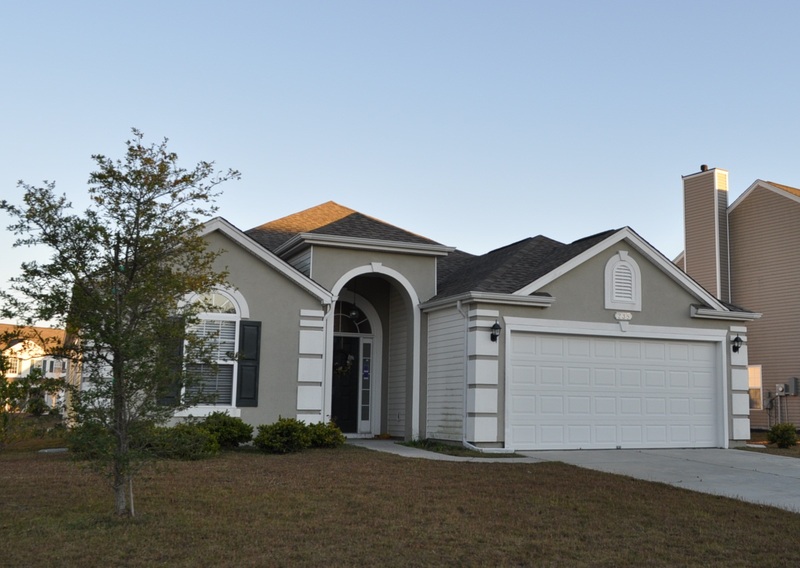 Ask your lender to take the steps necessary to provide you with a pre-approval so you don’t miss out on the Murrells Inlet home you want to purchase. While cash buyers could win out on REO bargins that is not always the case and if you are looking at homes in need of repairs a 203k loan is a must. Myrtle Beach foreclosures are a popular target of area home buyers and many are certainly deals when compared to competing properties for sale in Grand Strand area neighborhoods. Bank owned properties have made up approximately 20% of single family home sales in Myrtle Beach neighborhoods over the last year. Inventory of foreclosure listings in Murrells Inlet, Pawleys Island and Myrtle Beach make up approximately 2.4% of active single family listings. Home prices in some areas of the Grand Strand continue to be listed above market value as sellers resist getting real about proper pricing in today’s real estate climate. REO inventory accounts for only 2.7% of active single family home listings in Myrtle Beach but if you are looking for home bargains considering a short sale listing could be a smart move. With over 11% of Myrtle Beach homes listed as short sales they offer more choices and are priced at market value. In addition short sale processing has been streamlined by most major lenders and closing timeframes have been shortened making them a viable option for home buyers in the Myrtle Beach area. If you have questions about buying or selling a home in Murrells Inlet, Myrtle Beach or the Pawleys Island area contact us for more information on how we can assist you with your next real estate transaction. Copyright©2011 Sandra Bundy, Broker-in-Charge, B&P, Inc. Serving the Pee Dee and Grand Strand of South Carolina. The recent announcement of a new plan to help underwater homeowners refinance home mortgages brings more light on the problems many area homeowners are facing due to declining values in Murrells Inlet and Grand Strand area home values. While interest rates remain at historic low levels many residents are unable to take advantage of the low rates which the new initiative promises to change however in some instances a short sale might be a more viable option especially if payments are out of reach due to unforeseen hardships. No doubt home prices in some neighborhoods have fallen more than the 20% initially offered under the refinance program and allowing thoses who have lost more value should boost the programs effectiveness but for homeowners that have lost value and income a short sale could be the right alternative. Avoiding a foreclosure not only helps borrowers get out from under unaffordable housing expenses but it also helps to bring more stability to the housing market overall and costs lenders much less than foreclosure actions. An added benefit of a short sale is the ability for the homeowner to restore credit much sooner than would occur in a foreclosure situation. It appears more lenders are filing deficiency judgements in foreclosure cases in the Myrtle Beach area and while a short sale may require contributions by sellers it is likely far less than would be required once the home is sold as a foreclosure. In a short sale the lender is going to recoup more of the loan and by working in cooperation with your lender and with the help of an experienced REALTOR the short sale process could be the right course of action for underwater homeowners. Copyright©2011 Sandra Bundy, Broker-in-Charge, B&P, Inc. Serving the Pee Dee and Grand Strand of South Carolina. If you or someone you know if having difficulty making mortgage payments and would like to seek alternatives contact us today for a confidential consultation. Horry county had the third highest number of forecloures in South Carolina in July and as a home retention consultant assisting homeowners to keep their homes I see many homeowners who are frozen and shut down when it comes to taking steps to save their home. Hardships happen and in order to keep your family homes there are steps to take and thankfully resources for SC residents that are available to help. The Hardest Hit fund in SC administed by SC State Housing was allocated $295 million to assist SC homeowners with monthly payment assistance and direct loans. Eligible homeowners that are unemployed can have mortgage payments made under the Monthly Payment Assistance program to keep their homes. This program is capped at $36k and could make the difference in many homeowners situation and help to avoid foreclosure while unemployed and the homeowner is seeking employment. Direct Loan Assistance is for homeowners who have experienced hardship through no fault of their own and have fallen behind on their payments and overcome the hardship but remains delinquent on their mortgage up to 6 months or more. These loans are available interest free and are designed to bring the loan current. While there is a lien placed on the property for a period of 5 years it is forgiven after the period and no interest is charged. This is an excellent opportunity for homeowners that have fallen behind and now able to make mortgage payments. In addition to these programs there is also assistance for homeowners who are unable to stay in the home and do not qualify for the Direct Loan or Monthly Payment Assistance that have experienced hardships. Short sales and deed in lieu of foreclosure are options and if you do not qualify for relocation assistance through your lender this program may be able to help. If you think you need help to avoid foreclosure don’t overlook these programs! The quickest way to get help is by visiting the SC Mortgage Help Website or calling 855-435-7472. This program is expected to run through 2017 or funds are exhausted. Don’t delay, get help today! Copyright©2011 Sandra Bundy, Broker-in-Charge, B&P, Inc. Serving the Pee Dee and Grand Strand of South Carolina. Yesterday marked the end of my short sale journey with a family I had met over a year ago that was struggling financially when we closed the sale of the home they had owned for over 20 years. The fact that they allowed me to help was more about them wanting to do what was right for their situation and less about the fear I find with so many people I meet who are in over their heads financially. It all started when I knocked on their door and told them their lender had sent me to offer assistance because they were getting behind on their mortgage payments. I’ve done it hundreds of times as a home retention consultant and this family unlike many who shut me out actually listened when I talked to them about alternatives to foreclosure that might work for them. No the first option was not a short sale as we originally started out working on a loan modification but they soon realized when the modification was approved they would not be able to keep up due to job loss and medical issues. What this family realized was that even with a loan modification they would continue to struggle with making their mortgage payments and at the end of the day selling the home they had built was the best decision. I listed the home for sale while the market took a dive with values falling 50% over the course of my listing. During this time there were documents this family had to provide to their lender and the hardship letter they lived daily that they had to write so we could get short sale approval. Yesterday when I spoke with the homeowner as they were removing the final boxes from the home that had once been filled with all things precious they said they felt relief because the weight had lifted and they could move on without the heavy burden. They like so many others would be moving in with family until they can get back on their feet and it is very likely that in a few years with new jobs and better health they will buy another home and because they avoided foreclosure with a short sale they certainly should be able to do just that. During this process they told me the best thing the bank had done was send me to help as they were getting ready to give up before I knocked on their door. I didn’t expect to hear such praise from this family facing foreclosure and not knowing if an offer would come to make the short sale possible. Thankfully it did but the real thanks goes to this family because with all the difficulties and paperwork necessary to complete the short sale they never once complained and always provided everything requested and that is what it takes to have a short sale success story. Copyright©2011 Sandra Bundy, Broker-in-Charge, B&P, Inc. Serving the Pee Dee and Grand Strand of South Carolina. If you are struggling with making your mortgage payments and need help you can contact me at 843-902-7615 for information and resources available. Short sale rules that went into effect in 2009 that required real estate agents to make disclosures to consumers will not be enforced due to the confusion it created for real estate professionals and consumers. The disclosures that could cause homeowners to avoid seeking the assistance of a REALTOR to list their homes as a short sale or cause agents to decline to help have been waived under the Mortgage Protection Relief Act. Enforcement of the rules regarding short sales will be discontinued as long as agents are in good standing and comply with state laws and are working to assist homeowners with a short sale. Rules regarding loan modifications still apply as does full disclosure in cases of short sales. There are currently 60 Murrells Inlet homes listed as short sales of the 715 active listings in the Murrells Inlet area. While this translates to 8.3% of active listings an increase in Murrells Inlet short sales could be on the horizion as homeowners fall behind on mortgage payments due to job loss, divorce or unforeseen medical emergencies that force them to sell their homes. In the FTC statement issued July 15th it is clear that homeowners need the help of REALTORS® to assist with short sales and the MARS rule confused the process at a time when homeowners needed the services of real estate professionals. This is good news for homeowners as they work with lenders and agents to sale their homes and avoid foreclosure. For more information on short sales in Murrells Inlet contact Sandra Bundy @843-902-7615.